So, some people get into fights and they come out of them apologetic, but otherwise unchanged. But for others, things end when someone dies after being stabbed in the stomach with a sword. At least, that’s allegedly how it happened for former Power Rangers star Ricardo Medina Jr., who was arrested Saturday afternoon. This is a little too concrete an example of life imitating art. It’s here that Medina must have realized the error of his ways and called the cops. He was interviewed about the incident, and Sutter was taken to the hospital, where he was pronounced dead. One fairly short investigation later, Ricardo was arrested, booked for murder, and taken into the Sherriff Station in Palmdale. As far as we know, he’s still there and being held on a $1 million bond. 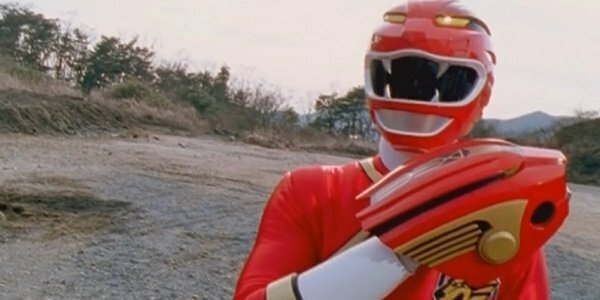 Medina first got into the Power Rangers universe in 2002 when he played Red Lion Ranger Cole Evans in Power Rangers Wild Force. That series only lasted for one season, but he eventually made his way back into the franchise in 2011 to play the villainous Deker for two seasons on Power Rangers Samurai. Deker, uncoincidentally, did some of his wrongdoing while wielding a sword. That must have been some serious fight to escalate to sword level without another avenue being taken first. Sometimes things get a little too personal I guess. Medina isn’t the first former Power Ranger to make headlines for things involving violence. Jason David Frank, better known as Tommy “Green Ranger” Oliver, is building up his MMA cred by calling out former WWE superstar CM Punk. Of course, UFC fights aren’t known for their deadly sword fights, so the two aren’t really related. I don’t even think the upcoming movie is going to go there. Details will no doubt start to emerge over the coming days that paint a better picture about what exactly went on.